MediaMobz is a video technology platform that increases profits across brands’ entire client base and project portfolio. Events are important, and everyone involved in an event - attendees, coordinators, speakers, presenters, and vendors- want the event to be as successful as possible. 70% of B2B marketers consider event marketing to be the most effective content strategy. Event success is defined by increased sales, packed attendance, a full slate of sales appointments, longer booth dwell times, and more and better quality leads. Video marketing has a huge impact on event success – before, during and after the events. Planning to incorporate video into all three phases of your event enables you to create an audience, perpetuate success, and exponentially grow your impact through effective post-event video usage. Regardless of the event type, the audience type, or the topic at hand, using video guarantees an increase in desired outcomes. 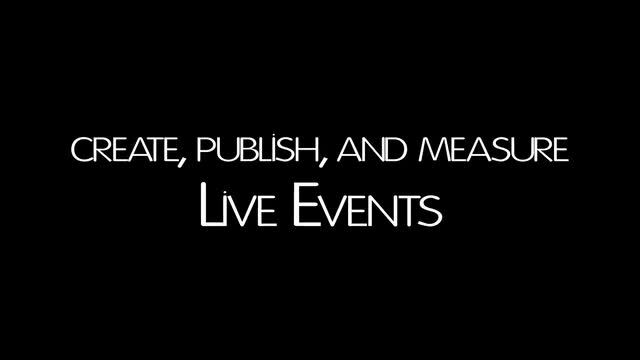 Learn how to convert event video to revenue? Thanks for visiting and enjoy our white paper.